Building Inspector's Toolkit - What's in Your Belt? Home » Moisture Meters » Wood Division Knowledge Base » Building Inspection » The Building Inspector’s Toolkit – What’s in Your Belt? Being tho rough means being prepared. 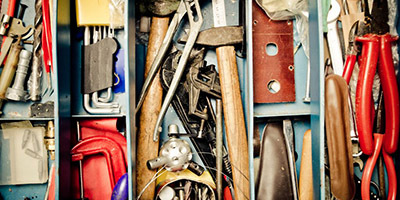 Make sure your building inspector toolkit includes these tools. 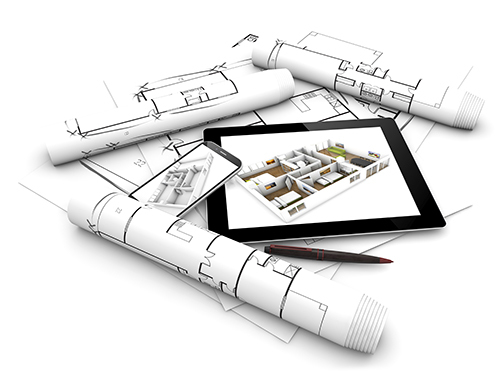 Building codes and standards are constantly changing. They certainly vary from town to town. Regardless of any specific building code, you need the full scope of the right tools in your building inspection toolkit to get your job done well. Your flashlight is your bread and butter tool. You want an LED flashlight with a brightness of at least 200 lumens. Select a model that lets you adjust the brightness so you can still get good photos in dark spots with the flashlight. Also, make sure to bring a backup battery. A sturdy flashlight belt ring will make sure you always have your flashlight handy. You may also want to carry a smaller, pocket-sized flashlight as a backup and for when you might have to maneuver into tiny spots. This will allow you to see into all those areas where you have limited access. Both of these types of ladders are valuable because they can fold down to fairly short lengths, making them easier to walk around with and less likely to scratch or ding walls and furniture. 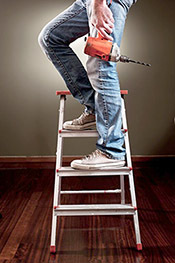 Generally, the telescoping ladder will shrink down the most, to as little as three feet in length. However, an articulating ladder can still get pretty short, in the 4.5 to 5 feet range, and has more flexibility than a telescoping ladder. A telescoping ladder can only extend while the articulating ladder can also be bent into an A-frame. Whichever ladder type you choose make sure it reaches the highest height you’ll need and securely locks into position. Make it easy on yourself to carry everything around and keep your hands free. You’ll be able to carry more in a vest, but some may find it too bulky if you have to crawl around. If you do go with a vest, make sure it has pockets in a variety of sizes, including some large enough to hold a moisture meter or infrared thermometer. The pockets should also have secure closures, like a zipper – Velcro® may open on you. This is one area where the cost of the tool is probably a good indicator of its quality. A GFCI tester, which tests only ground-fault circuit interrupter outlets, may not be sufficient, especially in newer buildings. Having a tester that tests both AFCI (arc-fault circuit interrupter outlets) and GFCI will make sure you always have a device that can test any outlet you might see. The dual AFCI/GFCI tester also tests both 120-volt and 240-volt receptacles. You want this simple tool to confirm if there’s any electrical current flowing through wires or devices. Depending on what types of buildings or homes you regularly inspect, you may need more than one as different indicators are built for different voltage ranges. The low-volt option has generally a 20-volt to 90-volt range. However, indicators with broader ranges can measure as high as 1000 volts. Since false positives are a risk with voltage indicators – they may just be picking up on static electricity – it may be helpful to select an option with as high a low-end on its range as possible. For example, you can find voltage indicators in a 90 – 1000-volt range or a 200 – 1000-volt range. If you’re not going to need to measure low voltage, then the 200-volt to 1000-volt indicator may serve you better. You also want to check if the voltage indicator you’re using measures both AC and DC voltage types. There are voltage indicators that also include a GFCI tester. This may be a good dual-purpose tool, but it depends on your needs. The combination voltage indicator/GFCI tester doesn’t usually test AFCI as well. These are tools that help you uncover potential problems that aren’t otherwise easily found. Both of these tools show temperature variations over a large surface area. Unexpected heat variations can be indicators of air leakage, excess moisture, heat loss, or insufficient insulation. At the very least, identifying unexpected temperature variations shows you quickly what areas may need to be more closely inspected. It’s important to note that an IR thermometer and IR camera aren’t the same tools; an IR thermometer provides a spot check while the IR camera creates an image of a much larger area. If you’re using an IR thermometer, you need to understand its distance-to-spot ratio, which tells you what surface area it’s actually measuring based on how far away you’re standing from the area being measured. An IR camera lets you measure temperature changes across a much larger area and on a dynamic basis as you move around. If you’re standing too far away when using an IR thermometer, you may not be detecting heat differences from smaller, yet important, spots. The greater challenge with the IR camera is that it takes more training to use properly. Whether you use an IR thermometer or IR camera, you need to make sure you understand how to adjust it to account for emissivity. Emissivity is the term used to describe how easily an object releases energy. Accounting for emissivity for a specific object is important because it can interfere with the accuracy of the readings. A low-end IR thermometer may not even have the functionality that allows you to adjust to emissivity, which makes it a tool not worth having. However, if you have a quality IR thermometer or IR camera, it will be an invaluable tool to identify potential problems in areas that are physically difficult to reach. One weakness an IR thermometer or IR camera can show you is where there are unexpected temperature variations, but it can’t identify the source. This is where a moisture meter comes in. 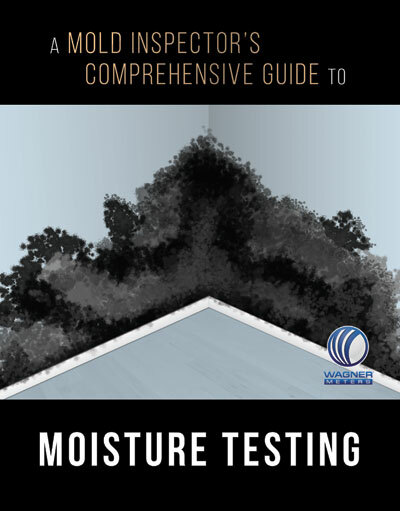 It can tell you where there’s excess moisture. There are two basic types of moisture meters: pin-style and pin-less. A pin-style meter inserts two little pins into the material and runs an electric current between them. A pinless meter has the advantage of not requiring any physical intrusion into the building material and it uses a larger scanning area, which allows the pinless meter to assess a much larger area within the building material than does the current being passed between the two pins of a pin-style moisture meter. 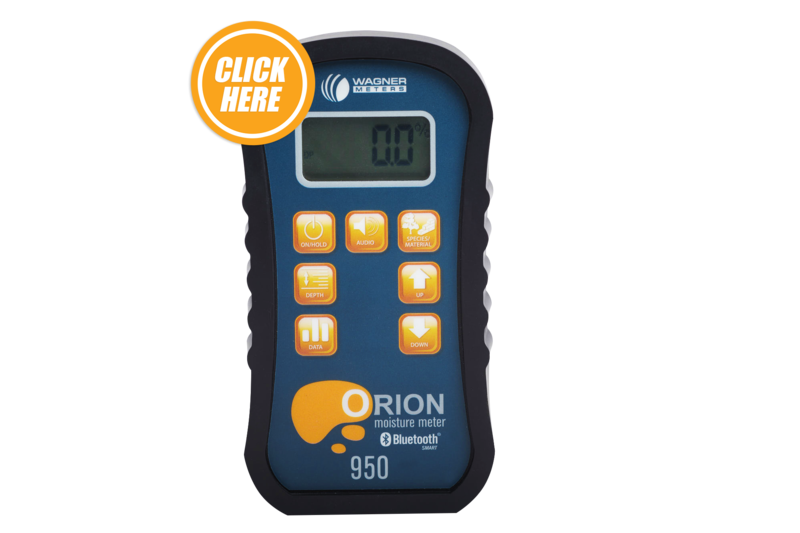 Another advantage of a pinless moisture meter like Wagner Meters’ Orion 950 is that it can be used to measure moisture in a wide variety of materials; you don’t need different moisture meters for wood and concrete. Some moisture meters, like the Orion line from Wagner Meters, can be used to measure moisture in tight spots where you don’t have a direct line of sight. The meter actually holds the reading for a short while after you remove it from the area. Not all hand-held moisture meters have this capability, so it’s a feature to consider if this is important to you. It can certainly be helpful as you try to document the meter’s reading. Different types of dangerous gasses require different types of detecting devices. No matter how sensitive your nose is, it may not be able to reliably detect low levels of combustible gasses, and it certainly can’t detect the dangerous, odorless gasses. While the cost of the nose “tool” can’t be beaten, it’s worthwhile to invest in some decent gas detection devices. This tool can detect small amounts of combustible gasses. There are numerous types of these gas detectors, so you want to do some research before you buy one. For example, what level of sensitivity does the gas detector have? What scope of gasses can it detect? Some will detect different types of gasses, but you have to swap out a component to do that. Some will detect the different gasses without having to make any adjustments to the tool. Also, consider the battery life and reach of the detector you buy. Many of the portable gas detectors come with a flexible probe that you can use to get into awkward or tight spaces. These probes can range from ten to twenty inches. As you know, your nose will be of no help in detecting this dangerous gas. However, toxic carbon monoxide can get emitted from combustion appliances if they’re not properly ventilated. A carbon monoxide analyzer or tester shouldn’t be confused with a detector or alarm. A carbon monoxide detector or alarm tests for the noxious gas over time and should be present in a house or building, just like a smoke alarm. In contrast, the carbon monoxide analyzer you want to bring with you absorbs samples and uses infrared to detect very low levels of carbon monoxide, with some as low as 0.04 ppm. There’s no point inspecting a building or home for potential safety issues if you can’t keep yourself safe while you’re doing it. Here are some critical tools you want with you for your own safety. With all sorts of particulates floating through the air, you want to protect yourself against respiratory issues and illness. Even if most of the particulates aren’t carcinogenic (although some certainly are), they’re not meant to be inhaled. Unfortunately, a dust mask may seem like good protection, but even the NIOSH N95 dust mask isn’t enough for crawl spaces. This is where you want a respirator. 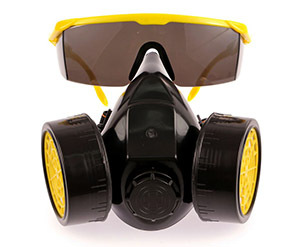 There are half-mask and full mask respirators. Different models provide different levels of protection, so make sure you’re getting one that covers your needs. They may be awkward to wear before you get used to them, but they’re less awkward than lung disease. You never know what can be sticking out when you’re moving around in a crawlspace or attic, so you want to protect your eyes. Safety glasses are also good to wear when inspecting mechanical or electronic objects, including electric panels, as sparks can fly unexpectedly. Goggles will provide greater protection since they create a sealed bubble around your eyes. If you wear prescription glasses, make sure you get prescription safety glasses or goggles large enough to encompass your regular glasses. Some new versions of safety glasses may also include LED lights to provide extra lighting in the direction you’re looking. In the same areas you want to wear your safety goggles, you probably want to wear electrical gloves as well. They’re heavy and can get hot, but they can also save your life. You want your gloves to fit well so you can maneuver comfortably. Whatever pair you select, make sure they meet the ASTM D-120/EIC903 specifications to provide you the full scope of protection you need. Depending on what you’re inspecting, you may need to bring along different kinds of shoes or boots. At the very least, any shoes you wear should have strong traction and be made of a material that’s a strong barrier against chemicals and oils. You may also want to bring boot/shoe covers (and an extra pair) if you’ll be traipsing through dirty or muddy areas, so you don’t track all that back into other areas of the house or building. If you’ll be inspecting the roof, you certainly want roofing boots with you. Finally, using a builder inspector’s software application can be incredibly useful and convenient both for you and the home/building owner. With so many tools on the market today, it may at first seem overwhelming to try to balance cost with necessity. However, using the tools mentioned above, you’ll be off to a great start with being properly equipped and prepared without spending a fortune on unnecessary tools to do so. I’m am interested in learning and become a house inspector, This was very helpful and informative. Could you do an article about Ancillary Inspection equipment. Basically a list of possible Ancillary Services that can be provided during a home inspection and which tools, with which features, you would recommend. Thank you in advance I have been doing research on this and am really curious. Thank you for the suggestion, Patrick. We’ll consider it for a future post. Yes, I agree, and would love to read a post about Ancillary Services to home inspections. I think it would be great to know all the different services that can be offered and if any of these services come free or at an extra cost. It would be nice to know for keeping a competitive edge. Very helpful article especially for those who are aspiring to be a home inspector! I think you have cited all the necessary tools needed to get the job done. Do you think you can do an article about what home inspectors do and do not do, what homeowners should expect? Very helpful, one suggestion is to add a drone w/ camera capabilities for roof inspections, window inspections etc. I have seen many Home Inspectors advertise this technique.